The American tax code is anything but set in stone. In fact, it is altered frequently, sometimes in quite an impact. Every year changes are made, new policies are created, new laws are drafted. Needless to say, if one were behind on these laws they might run into some issues while trying to file taxes for their business. The problems might be minor, but they might also be quite severe. It all depends on the nature of the misunderstanding and the importance of the altered law or stance. For this reason it is absolutely essential for those who operate businesses to keep up with changing tax laws, but doing so is certainly easier said than done. These laws change frequently and generally without much fanfare, and as such you could easily find yourself breaking one of them with no prior knowledge of the potential for your infraction. Luckily, we at AFS Taxsavers make it our business to follow tax laws very closely. With our help, you’ll be able to ensure that every time you file your taxes you’ll do so with absolute legality, allowing you to avoid future problems. HOW OFTEN DO TAX LAWS CHANGE? More deductions for FICA and Medicare. Altered deductions for married workers. Significant changes to the handling of medical and dental deductibles. Fewer taxes required of those who harbor dependents. Altered deductions for student loans. 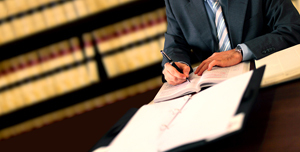 All of these laws could have a major impact on your business. They could significantly alter the paychecks of your employees and your company’s overall level of general capital. Sure, you could try to keep track of every new or altered tax law yourself, but why take on that risk? At AFS Taxsavers, we’re here to help. Contact us today to receive the support you need to ensure that your business will never be in jeopardy because of a simple misunderstanding or oversight.